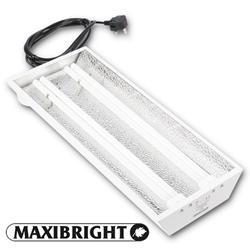 At this initial stage of growth lighting should be chosen specifically for propagation purposes. 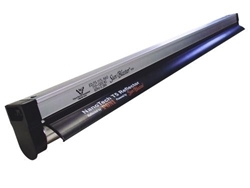 Intense lighting and heat will overwhelm your plants and stunt their growth. 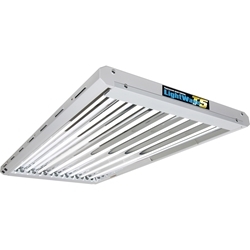 In this section you will find a range of fluorescent lighting all designed to provide appropriate lighting for propagation and minimal heat output, but still provide the necessary amount of lumens for a plant to survive. 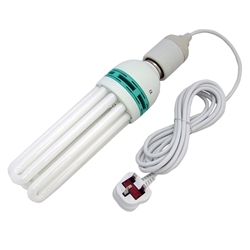 Compact Fluorescent Lamps (or CFLs) provide a cheap and effective way of nurturing young plants. 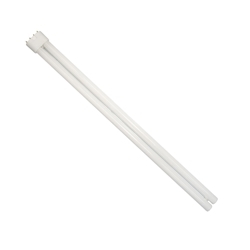 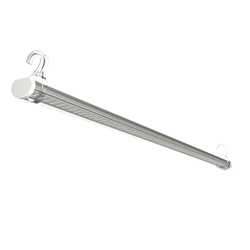 Available as 125W bulbs, they can be used with a reflector or simply with a lampholder. 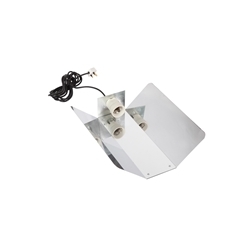 One CFL is usually enough for a large propagator or an area up to 1m2. 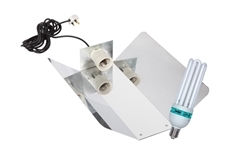 Depending of the size of your grow room you may require additional reflectors, bulbs and holders, all of these are found in this section.